The same air defense system that has seemingly kept coalition fighters out of western Syria is now being installed in the heart of Europe, at Russia’s Baltic Sea enclave of Kaliningrad. 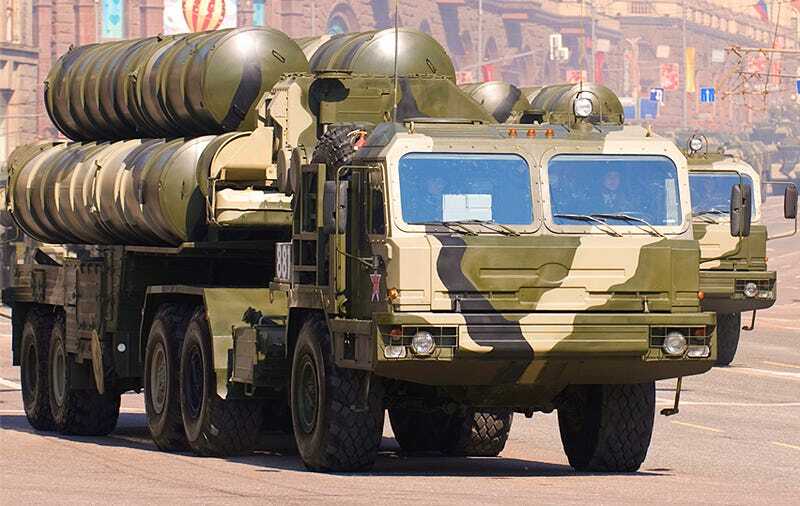 Russia’s setting up surface-to-air missile systems in their territory is nothing new, but the S-400's long-range and effectiveness is. The S-400 (NATO code name SA-21 Growler) is very much a wide-area, anti-access, area-denial (A2/AD) system. It has the ability threaten enemy aircraft within a 250 mile radius of its location. Because of the small territorial size of Kaliningrad, this means the S-400's engagement envelope expands well into surrounding NATO countries, such a Lithuania, Latvia and Poland, as well as far over the Baltic Sea. Because any aircraft flying within the S-400's reach is vulnerable to attack, NATO fighters flying over their own or friendly territory can be targeted and engaged by the S-400 system on a whim. As such, Russia could make a lot of trouble for aircraft around Kaliningrad if it so wishes. Really, the S-400's emplacement in the heart of Europe has the potential to be one half self defense and one half offense, with a pinch of nagging pestilence. It is the ultimate “we are to be reckoned with” reminder of a weapon system. It is also clear evidence that Russia fears NATO and despises its expansion east since the end of the Cold War. Russia has also deployed Iskander short-range ballistic missiles to Kaliningrad, which are capable of carrying a nuclear warhead around 300 miles. This puts Berlin within their range. Bomber and fighter jet rotations round out the enclave’s high-end military capabilities. Above anything else, the deployment of the persistent and long-reaching S-400 air defense system to Kaliningrad is just another reminder of how Russia is making NATO and other U.S. aligned nations react to its actions, and not the other way around.